RTÉ has secured the rights to show all of Ireland's World Cup games. 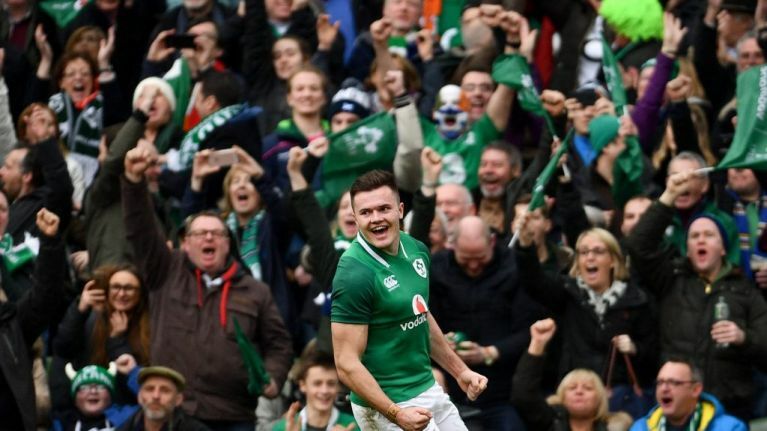 All of Ireland's 2019 Rugby World Cup games will be free to watch for the Irish public following a sub-agreement struck by the state broadcaster and eir Sport. Eir Sport is the primary rights holder for the tournament and will be broadcasting all 48 matches live. However, today’s announcement sees RTÉ secure TV rights to broadcast 14 live matches. This will include all of Ireland's games, all knockout stages and the final, as well as 16 nights of highlights. RTÉ’s 14 live games and 16 nights of highlights will be broadcast free-to-air on RTÉ2 and also on RTÉ Player live and on-demand. Beginning with Ireland v Scotland, all of Ireland’s pool games will be broadcast live as well as all knockout and final placing matches, including the final on Saturday 2 November. Interest in Irish rugby has peaked after a phenomenal first-ever win against the All Blacks on Irish soil last week. Declan McBennett, Group Head, RTÉ Sport said: “The Rugby World Cup looks set to be a very exciting tournament next autumn and we are delighted to come to this agreement with eir sport to ensure that Irish audiences have a free-to-air front row seat to such significant games including all of Ireland’s games, the knockout stages and the final, on TV and online."